In today’s fast-paced urban lifestyle, to sit back, relax and watch the day go by is a desirable luxury. Multi-tasking is a demand and seen as a sign of performance, especially in the office and procrastination is definitely not a way to reduce stress. We know women are better at multi-tasking than men, but being able to juggle multiple tasks at one time doesn’t necessarily make you more productive. If you are already feeling stressed and tensed on an everyday basis, the following best-kept tips we have to share might come in handy to make sure you reach your full potential every day. 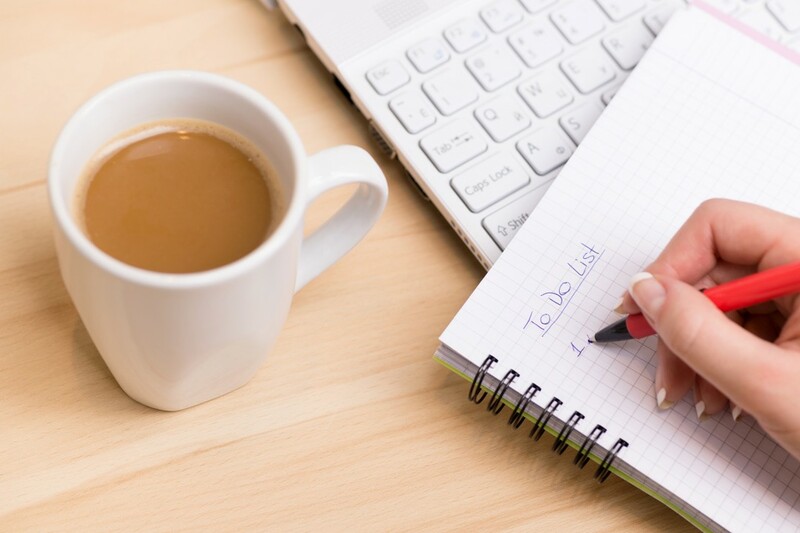 Being organized and keeping a to-do list is effective to help you get through the tasks of the day without having to worry if you missed out anything important. But don’t let a growing list of big and small tasks give you a false sense that you are busy, thus productive. In fact, it is the exact opposite. Start prioritizing your tasks based on urgency and the difficulty level. Start the day by clearing the urgent matters and get easy tasks out of the way before you settle down for the ones that require more concentration. Allocate the right amount of time for each task and stick to it. Don’t jump from task to task unless you are sure of accomplishing them. In this way, you are able to better manage your time and complete your tasks for the day. Don’t bring home that nagging feeling that you still have things to do. It will cause you stress today and even more so tomorrow. Staying focused is easier said than done. We know how to get through the day with our tasks, but how many times have you managed to breeze through your work smoothly and feel satisfied that you had a fruitful day? There are too many distractions that are making it hard for us to focus on what we are doing at the moment. This is the reason why you struggle to keep up with work and things seem to take longer than expected to complete. 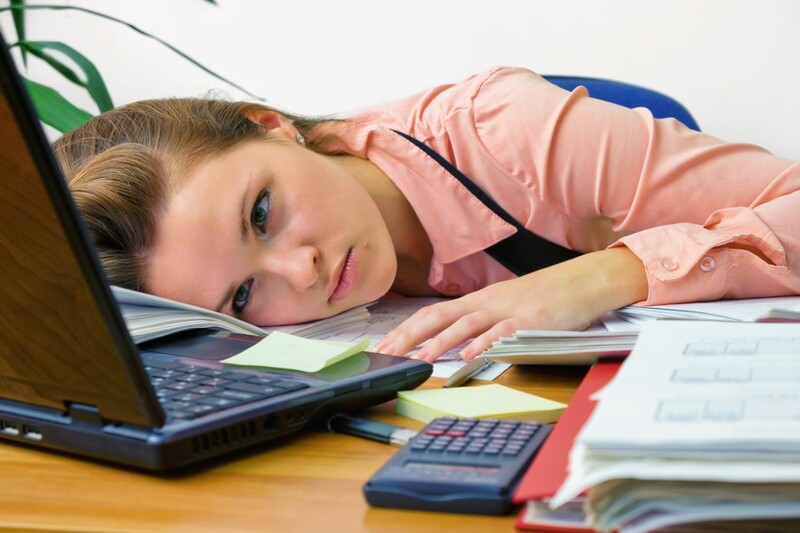 With our already short attention span, it is important to stay focused on completing a task within the stipulated time. So what are the common distractions? The emails will keep coming and you know it. Every email requires an action from you. It might have became a habit to keep checking your emails throughout the day and responding to each and every one of them immediately to prove that you are on top of your game. This is the biggest distraction and before you know it, you have replied to all emails but the piece of work that you are working on is still sitting on your desk. Allocate time for email checking; probably once in the morning and once in the afternoon. Refrain from opening your inbox unless there is urgent matter that requires your immediate attention. 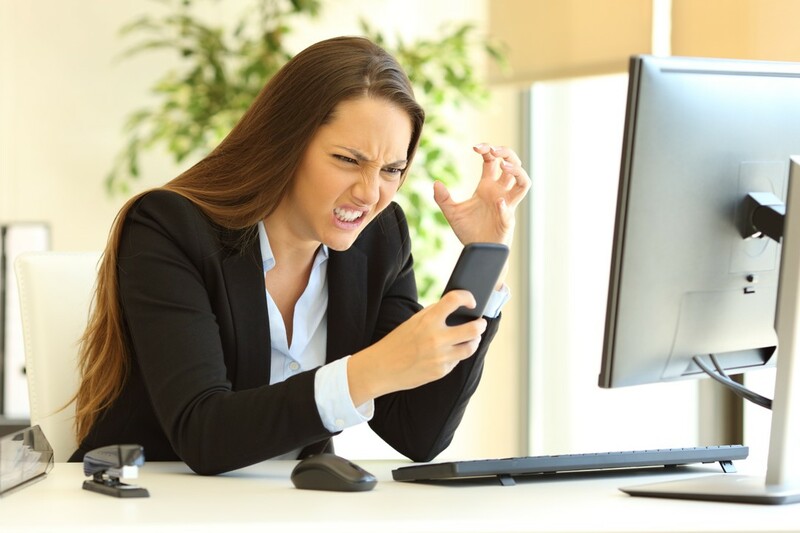 The irresistible urge to check on your social media newsfeed and IG stories, with the constant messages from Whatsapp groups and messengers adds to the distractive force that is hindering your work progress. Ignore the notifications that flash on your screen and only check them when you are taking your breaks. Plus, your boss wouldn’t be too pleased to see your social activity and prompt comments on your friends’ posts during working hours. Yes, there’s a reason why minimalism is highly adopted in the recent years. Wanting to own more than what you need can add stress to your life. Maybe some personality quiz told you that a messy desk is a sign of a creative persona. Don’t be fooled, as a messy desk is like a messed up brain. An organized, clean and neat workstation is more conducive and gives you a clearer mind. So clear away the unnecessary items, file your documents and ensure there is enough open space on your desk for you to work on. We work hard to meet expectations and yet spend our hard earn money to fulfill the gratification of materialistic “needs” just so we can lead the “ideal” lifestyle, alike the “glamorous” lives of people on Instagram. Do you really need a cluttered wardrobe and yet feel “ I have nothing to wear” very often or a vanity table, loaded with beauty & skincare products of all kinds? If that’s not enough to confuse you, we are pretty sure that your skin will be. Less is more. You should let your skincare products do the multi-tasking, not you. Why spend time in the bathroom applying layers of skincare products on your face and then having to keep rushing or when you can use that time to catch extra sleep or have a chat with your loved ones. This is what motivated Claire, founder of Auolive, to innovate and launch a multi-functional anti-ageing skincare line. 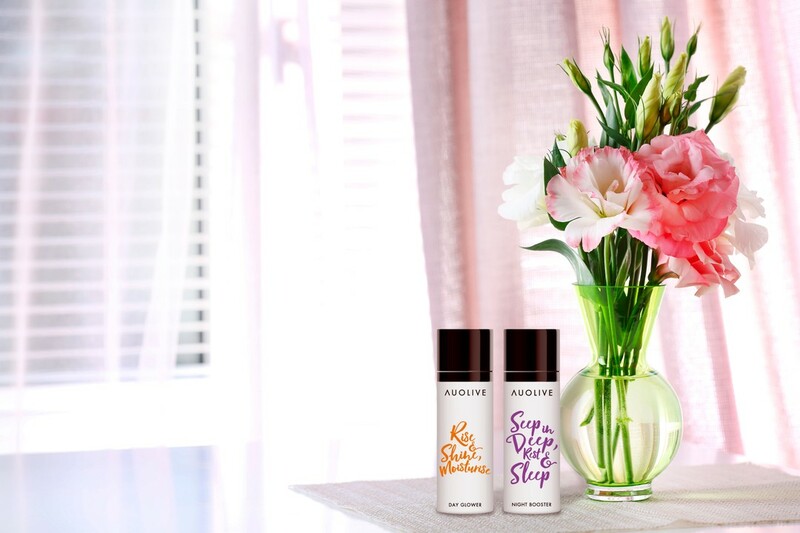 All you need is an application of Day Glower for the day and Night Booster for the night. – all in less than 2 minutes. Most importantly, your skin gets all the beauty benefits it needs without having to make you rush for time!